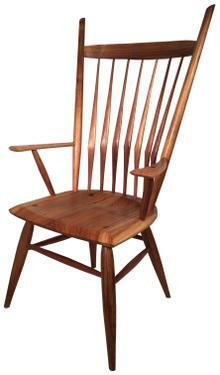 Designed by Curtis Buchanan, Velda’s Arm Chair is a contemporary take on a traditional Windsor Chair. Large in proportions this chair has a striking presence with its high tapered back posts and broad seat. Simple turnings and long tapered spindles add to its clean lines. Whilst contemporary in its looks, making Velda’s Arm Chair requires all of the skills typical of traditional Windsor Chairs. 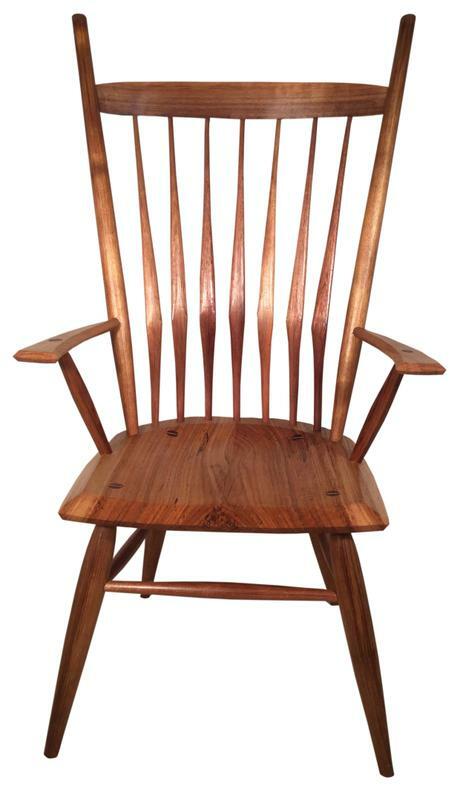 During this course you will rive, shape and steam bend green timber, shape the seat using traditional chairmaking tools and assemble the chair using hide glue. Unlike our other chairmaking courses you will also do your own turning and in doing so develop some skills in using the woodturning lathe. This chair requires a moderate level of experience.